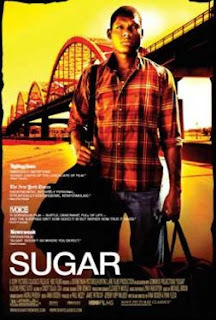 Today I give you the trailer for a new movie called "Sugar". It is about Miguel “Sugar” Santos, a 19-year-old pitcher trains to one day play ball professionally in the U.S. This movie is getting great buzz. Check out the review here by LAist and the trailer below. I am going to check this out real soon.